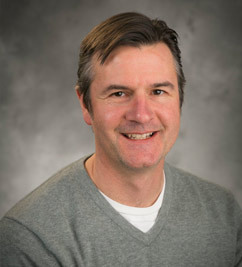 Steven Kimball is co-Director of the Wisconsin Evaluation Collaborative and a senior researcher with the Consortium for Policy Research in Education. He is Principal Investigator for the WCER team that is supporting the Wisconsin Department of Public Instruction in the development and implementation of the state Educator Effectiveness System. He is also a content expert for the technical assistance team serving the Federal Department of Education’s Teacher Incentive Fund. Steve has published numerous articles, book chapters, and policy briefs on teacher and principal evaluation, compensation, and other human resource management issues. Steve was the co-Principal Investigator of a 2005-2007 study funded by the Institute for Educational Sciences on performance evaluation of principals. Additionally, he served as Principal Investigator for a multi-year evaluation of the Chicago Community Trust Education Program. Before completing his graduate studies, Steve held legislative analyst positions in the U.S. House of Representatives, the U.S. Senate and the Texas State Office in Washington, D.C. Steve completed his Ph.D. from the U.W.-Madison Department of Educational Leadership and Policy Analysis in 2001.